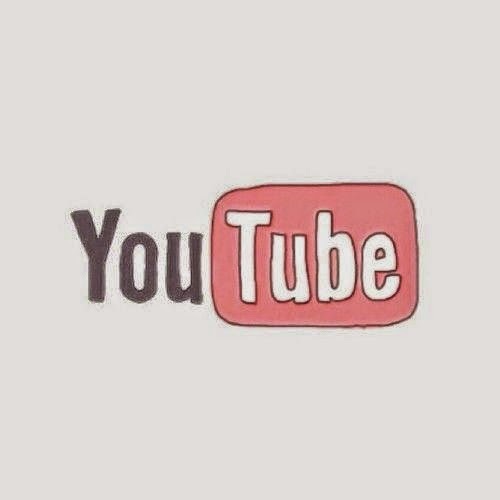 When I was in early secondary school, YouTube just started so it was not as big as it is these days. Now, we can say it play quite a huge part in our daily lives. From makeup tutorials, cooking tutorials, DIY videos, we can refer almost anything to it, the biggest video streaming on the net. Honestly speaking, I learned my ways of makeup through YouTube. What to do, what not to do, what to buy and what not to buy, everything is there. So, in this post I would like to share with you guys my favourite beauty and lifestyles channel on YouTube. Who doesn't know Michelle Phan? She is the epitome of the title 'YouTube Beauty Guru'. Most popular beauty and lifestyle YouTube channel are inspired by her. I remember those days when there were only Michelle Phan's makeup tutorial to watch. One of my favourite video of her is the 'Glasses Makeup Tutorial' which was one of her old videos. Now, she is so successful owning her own makeup line brand and inspiring ladies all over the world. There was one article that mentioned Michelle as Oprah meet Steve Jobs. Her tagline 'Good Luck' at every end of her videos is one of my favourite part! Now her video is not just about beauty and lifestyle, she also inspire people to change the world for better, for example like the #RememberTheGirl campaign. You know the Monthly Favourite videos most beauty guru does each month on their channel? I've got to say I love almost every product that I tried under Bubz recommendation. Like the Annie's Way Hyaluronic Acid Brightening Jelly Mask that I've tried, love it and reviewed here. Maybe because she is Asian so her recommendation would mostly suit my skin type. She also have a vlog channel that I love. Her husband is hilarious too so you can check on the vlog channel here. This is actually a beauty segment from insiteTV channel where I learn almost all of Korean style makeup and trends. Since I'm such a huge fan of Asian makeup trend, I love how she show the way to apply makeup in a way we can understand. There's also English subtitle so there is no problem for viewers that doesn't understand Korean. I love watching her hijab tutorial and her style. Her channel is one of the hijabist channel that I like. She also owns online shop that sells pretty shawls, and accesories. The two sisters are just fun! I love seeing them interact in their videos and show each other preferences in makeup and beauty products. I so love watching Ameena! I especially love her British English with Arab-ish slang. I know Amanda Muse and Meghan Reinks. Will totally checking out on others. Thanks for your recommendation! I've heard of meejmuse but I kept forgetting to check on her channel. Love watching Ameena, she is so gorgeous.